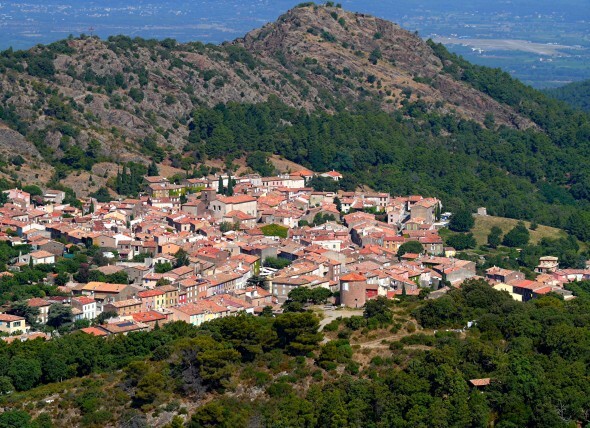 We hope you will enjoy this walk in the village of La Garde-Freinet. From the Tourist Information go left and cross the Place de l’Hôtel de Ville. The town hall was built in 1858 when the cork industry was growing. This place was mentioned and drawn in the 1815 cadaster as a churchyard near the Chapel St Jean. The statue of Marianne in front of the main entrance of the town hall dates from 1889 (the centenary of the French revolution). Follow the Rue de l’Ormeau, the first alley on the right of the town hall. You will get to the Place du Marché. The Kiosque (1812) in the middle of this square used to be a fish market hall. On your right you will find the old washhouse built in 1812. Further on to your left you can contemplate the Fontaine Vieille dating from 1812 (in the times of Napoleon). Cross this square, follow the Rue de la Vieille Caserne going down on the right, then the alley just on your left. 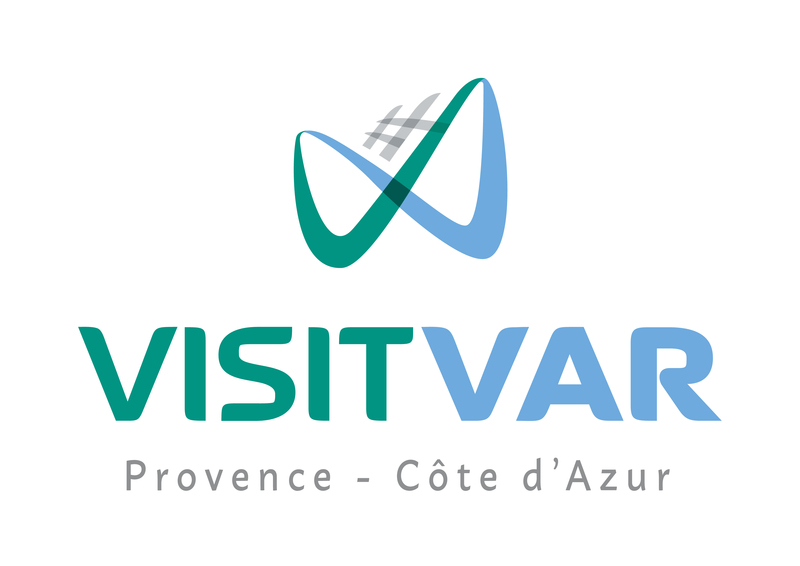 You are now on the Place de la Vieille Mairie. This town hall has been left since 1852. The circle in the middle of the square shows the center of the village. In those days the old town hall and the jail were both in the same building. Pass beneath the porch, on your right you will see a small window – in fact the one of the old jail. Go across the Place de l’Amour which is on your right behind you when you are opposite the window. At the end of the square go on to your left Rue de l’Amour and at the end of the street go immediately on your right Rue St Joseph. About 100 m further you will get to the car park, an ancient threshing area with its special floor. The villagers used to thresh the corn here and hang their washing to dry. From here you can stroll through the pedestrian zone and return to your starting point or go on walking: go back to the Place du Baou. In front of the well, go on to the Rue du Pin on your right. Pass the Rue des Myrthes, then left Rue de la Farandole. You will cross the Rue des Châtaigners, further you will come to the Rue des Bouchonniers. Go straight on, then left Rue des Aires. 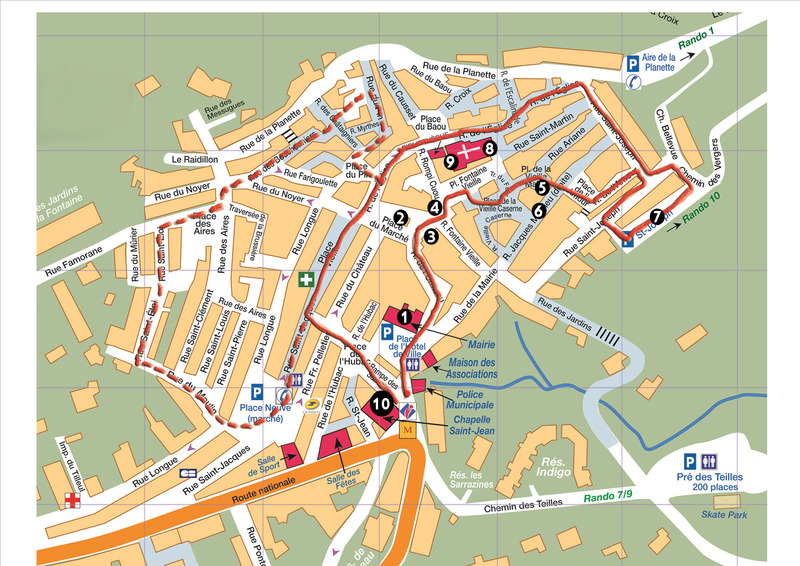 You may stop on la Place des Aires, go up Rue Famorane, turn to Rue St Eloi. At the end of the street you will see an old flourmill (now private). There used to be 5 of them in the village. Go down the Rue du Moulin as far as Place Neuve (market days Wednesday and Sunday). 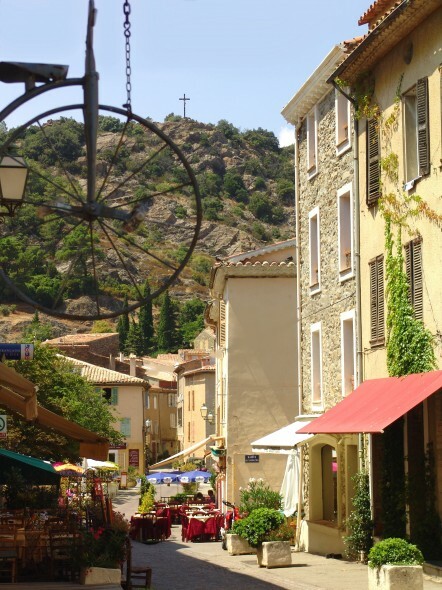 From here, following the road with the shops, you will arrive again at Place de la Mairie.